Seventh Street Books, 9781633884175, 315pp. 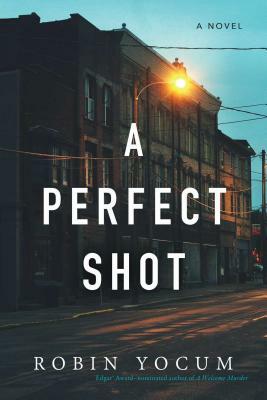 Robin Yocum is the author of the critically acclaimed novels A Perfect Shot, A Welcome Murder, A Brilliant Death (a finalist for the Edgar Award), Favorite Sons, and The Essay. Favorite Sons was named the 2011 USA Book News' Book of the Year for Mystery/Suspense. It was selected for the Choose to Read Ohio program for 2013-14 and was a featured book of the 2012 Ohioana Book Festival. Yocum is also the author of Dead Before Deadline . . . and Other Tales from the Police Beat and Insured for Murder (with Catherine Candisky). He is the president of Yocum Communications, a public relations and marketing firm in Westerville, Ohio. He is well known for his work as a crime and investigative reporter with the Columbus Dispatch from 1980-1991. He was the recipient of more than thirty local, state, and national journalism awards in categories ranging from investigative reporting to feature writing.